Hair transplantation is an operation that takes hair from the back of the head and moves it to the area of hair loss. The fringe (back and sides) of hair on a balding scalp is known as donor dominant hair which is the hair that will continue to grow throughout the life of most men. This hair retains its characteristics of growth after it is transplanted to the bald area. Donor dominance (of hair from the back and sides of the head, which continues to grow throughout life) is the scientific basis for the success of hair transplantation. 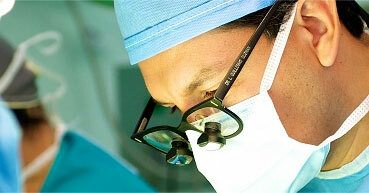 Dr. Okuda of Japan first described the use of transplanted hair to repair scarred eyelashes and eyebrows. Dr. Norman Orentreich published the first widely read report on hair transplantation surgery in 1959 and the field of hair transplant surgery was born. We at the AHRS-India have a lifelong commitment to serve the community in seeking ethical. 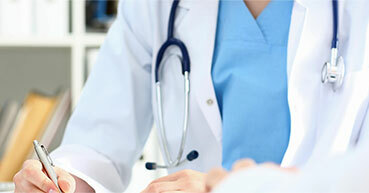 To promote and direct the development of Hair Restoration Surgery in India along sound. We at the AHRS-India have a lifelong commitment to serve. 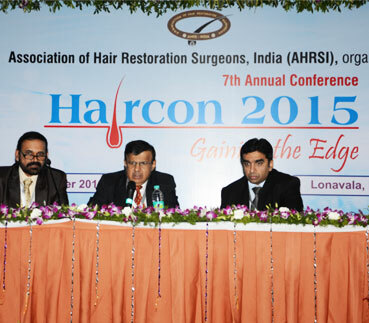 I am extremely happy and delighted to invite you to HAIRCON 2019 which is being held at Hotel Marriott, Indore between Feb 8th, 9th & 10th 2019 under the Chairmanship of Dr. Anil Garg. The Scientific committee has taken a lot of efforts to stitch up a great faculty of International Hair Restoration Surgeons to join hands with the National faculty. In view of the recent incident involving a hair transplant surgery having gone wrong, the Association of Hair Restoration Surgeon - India would like to inform the consumer about steps to be taken before choosing to opt for hair loss treatment. Before you choose a physician for hair loss treatment, or for any other purpose, here are the basic things you should want to know about..
What Hair Loss Means to My Image of Self?